Exploring my healthy appetite for life. Happy weekend all! Have you been up to anything fun? I haven’t been doing much besides getting things done around the apartment and baking. Two of my favorite ways to spend the weekend! Last night Alex and I watched the King’s Speech. I thought it was well done but somewhat slow at parts. I’m not quite sure what all the fuss was about. Did you see it? What’d you think? In an effort, to incorporate more protein in my diet, I’ve been looking to some of my favorite bloggers for inspiration. 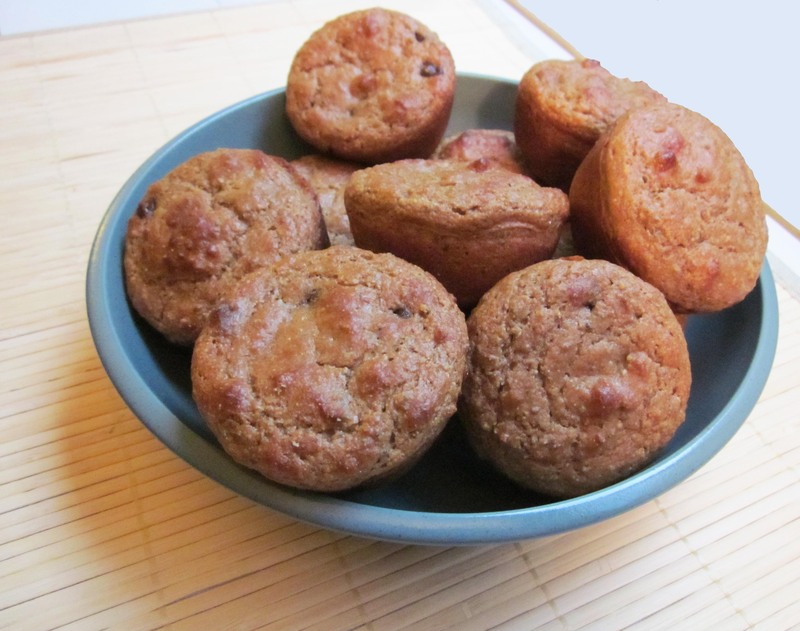 One recipe that I’ve had bookmarked for a long time is Janetha’s Lemon Yogurt Chiaseed Protein Muffins. While I’m not a big fan of lemon-flavored baked goods, I do like the idea of increasing the protein content in them. So I set out to create my own adaptation with one of my favorite elements, dark chocolate. 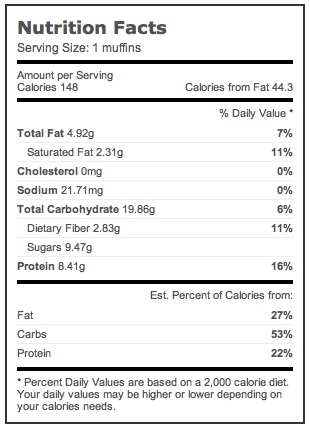 I used slightly different ingredients which resulted in a lower protein content, however, they still have great stats. 8 grams of protein in a soft, chocolatey muffin is hard to beat. I was slightly hesitant baking with the Garden of Life Raw Protein powder for the first time but it worked wonderfully. 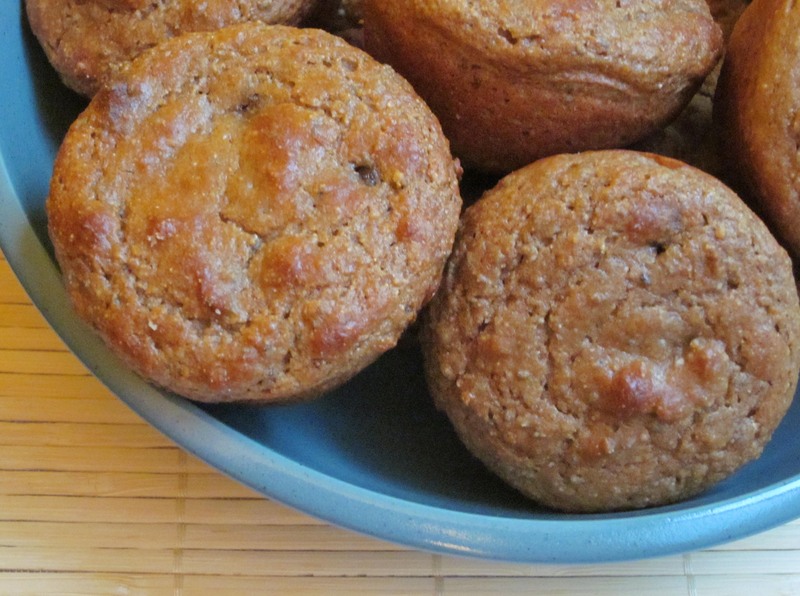 These muffins turned out every bit as rich and moist as their non-protein counterparts. In fact, I have to say that I favor these because of how dense they are. I plan to eat these as a protein-filled afternoon pick-me ups throughout the week. Mix all dry ingredients, except chia seeds. In a separate bowl, mix all the wet ingredients except the milk. Add the dry to the wet and mix until combined. Add milk if necessary to create a thick batter. I used about 2 tablespoons. Fold in chia seeds and chocolate chips. If chocolate chips aren’t your thing, then you can use any number of mix-ins. Some great choices would be blueberries, strawberries, walnuts, carob chips, dried fruit, etc. Be creative! 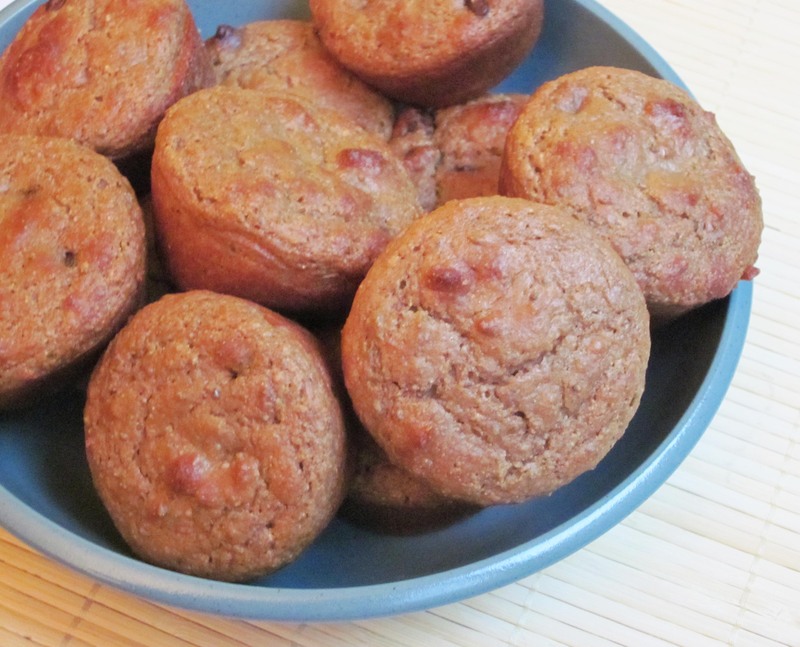 Pour batter into a greased or lined muffin tin. Bake muffins for about 20 minutes, rotating pan halfway through. How do you incorporate more protein into your diet? Have you baked with protein powder before? Baking with protein powder is great. I’m happy to give you some recommendations if you’re interested. You know I love protein packed anything! I am sure those are SO tasty!! They really are. Let me know if you give them a try!